THE REST OF OUR FRIENDS and family are at the beach, out of town, lying in bed all day, while we have work to do. People may see this as tragic, but, more often than not, we're convinced we have been called for this. 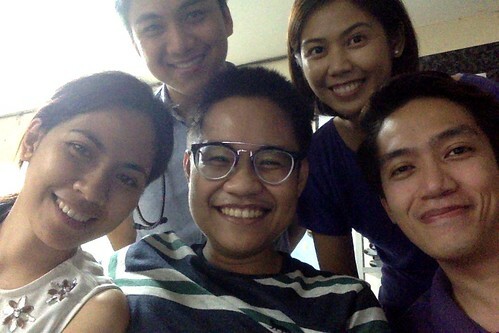 Hello from us—Racquel, Jeré, Payfloor, and Jay. Nevermind, one day soon you will have control over your working days. That will be the day . . .